He had no idea what to do with the energy he had been taught to call upon to be honest. Yet he knew he could do more with it, he would have to train a bit with this power to fully grasp just what sort of limit this new energy inside of him could do, but he knew for a fact that he would more than likely be able to do more good with this energy than being absolutely powerless. For a few moments Steiner focused on that feeling of no longer being absolutely hopeless in a world full of powerful beings, he had finally got something akin to a power of his own, mind you he had no idea how to use it, but he was surely going to try and understand it as much as he could by trial and error. "Thank you for this, for all of it. You have no idea how much I appreciate you taking time out of your schedule to help me. Hell, you even closed down your shop for the day to come out here and teach some one like me. Just...thank you. ", Steiner said as he flexed his arms a bit while he adjusted to the new feeling of power coursing through him. This would take some getting used to for sure. That was when Mirja began to speak and much like before Steiner listened intently to the person who had taught him so much in such a short time already. Steiner listened to her, much like a young child in a school setting, he lingered on every word, and absorbed every single tid-bit of information that he was allowed to from the Wolf's mouth. If Mirja would look closely, she would see that very same drive that she had seen before, but it was focused mainly on improving, and about learning as much as he could so that he could insure that he would not fail. Every little thing that she would teach, he would learn, and add it to his own because that was how one could improve themselves. To grow was why Steiner had sought somebody with the skills necessary to hone even an unsharpened blade like himself into something deadly to protect the people who couldn't protect themselves. It was when she sprouted her six arms that Steiner's eyes went wide, he had no idea what sort of power this was, but it seemed intimidating. She then began to speak about the Tulpa, a technique that could make thoughts into strength, and it seemed to resonate rather strongly with Steiner as he seemed to be evaluating the strength of Mirja's Tulpa with his own eyes. "So with this technique my desire to protect those who couldn't protect themselves would become my strength? Am I understanding that right? ", Steiner asked as he continued to observe the six arms that Mirja had sprouted. He had a few theories of what the arms could be used for, but he knew that to see these things in action probably meant that you were in a world of hurt. "Is there a limit associated with the Tulpa? ", Steiner inquired as he began to try to understand what he was seeing more thoroughly. After all if he was to use Tulpa, he would have to understand every aspect of it, and that meant coming to the person who had shown it to him. "Sorry, if I'm asking a lot of questions...its just seems you have a lot to teach and I want to learn as much as I can from you. You know a lot more than I do and you have the experience to back that up as well. So if it wouldn't bother you...I would like you to teach me everything that you know. ", Steiner said with a bow out of respect for the wolf. He had studied so much over the course of his life time, but seeing this new, and exciting thing before him he was hungry to learn more and more. To get stronger, to protect people. Those two things went hand in hand for him and with everything that Mirja knew and everything that she had experienced before by using these skills, Stein could grow more as a fighter and in that same vein more as a hero. "You don't mind teaching me do you? I promise to be the best student that I possibly can and learn as much as I can from you. ", Steiner said trying to sway her if she didn't want to teach him anything more than these two things. Mirja waved her arm as he claimed that she had shut down her cafe to go teach him. That was not something she had actually done, this place had an understanding with her when it came to people coming in to learn her tricks, as she had brought it out to everyone who would come down. "Ahh, don't worry about that. I put out fliers to teach everyone who was a nice guy, and you are a nice guy. So there is no trouble with me teaching you what I know. And, if I did have any reservations about teaching you anything of mine. If I did, I would have stopped rather a fair bit before now, no? You've basically learned all I have to teach" she told him, taking her pacing gait as she always did and letting her arms fade as they did, so she was again, two-armed. "There are limits, yes. You can only have one form for this simple gesture, known as the Personal Tulpa. Once the form is made it is powered by your own willpower. Your own determination, your own drive to move forwards. The stronger this conviction becomes, the stronger your Tulpa becomes. Lost faith in one's self, and it will weaken to the point you can not muster it's form. As you carry on with the use, and the training of it, you will eventually evolve your power. Turn in into something greater, more glorious. This, is known as your Full Tulpa. It might appear strange because of the abstract nature of the sub-conscious, but it is the physical embodiment of your most treasured feelings" she told him, spawning the magnificent Lady Caliburn. She was magnificent. With a split down the middle, one side being a glistening gold, the other side being a black like night. One hundred arms splayed in a half-circle around her, and half her face was covered with a mask. The construct looked down at Steiner, and smiled to him softly. He was happy that he had not inconvenienced her in any way to have her come out here and train him. Though he assumed that he hadn't actually done much training and had done more of an advanced type of meditation up to this point. Still, it did feel good that he was turning a corner, and he hoped that she had more to share with him. When she stated that she had taught him all that she had to teach, Steiner frowned a bit, and he looked at her in confusion. Surely there was more than Mirja could teach him than Tulpa? Perhaps if he inquired about something beyond just Tulpa she might have something for him to learn that could help him even further than she already had helped him. "Thanks regardless for your help. Also...you say I've learned all that I can from you, but I'm not so sure. I mean, you seem way stronger than just your Tulpa, so maybe you could teach me more than just Tulpa? ", Steiner asked as he looked at her with hopeful eyes. It wasn't every day that you met someone this powerful willing to teach other's their craft, but Steiner was hungry for more than just Tulpa. Speaking of Tulpa he hadn't even tried to summon one up himself at this time, mainly because he wanted to pick her brain for as much information as he could. It was when she began to answer his questions about the limits of the Tulpa that Steiner began to understand things a bit more about what exactly he could do with such a powerful ability and just how strong it could be in the right hands. It pumped him up visibly as he realized that the ability could evolve even further and become almost semi-sentient. As the being before him displayed itself as a woman with multiple arms and hands, he stared at her in awe for quite a bit as he began to think about what exactly he could do with such a powerful ability in his arsenal. "So a Tulpa can become like this and the limit of the Tulpa is the user of the Tulpa? ", Steiner once again asked he found himself gawking in bewilderment of such a strong ability. How had something so strong remained under the radar for so long? How hadn't he come seeking this knowledge out sooner! "The Tulpa is as strong as the user's willpower... then my Tulpa should be powerful. ", Steiner said with confidence as his desire to protect others and his willpower would not be denied. He began to think about just what form his Tulpa would take and in his mind he realized the only way he would find that out is if he actually tried creating one. He had a general understanding of how to create one, it was a force of his willpower drawing on his thoughts, and desires and then giving them physical form. But beyond that, Steiner had nothing to really grasp at to make his Tulpa manifest. Though, he supposed if he was confident, and truly used his force of will and desires to their utmost limit he would be able to summon it. So, under the watchful eyes of his new master and her Full Tulpa, Steiner began to focus on creating his own Tulpa. He strained for a few seconds, focusing in on the need to create something that could protect others, and fight against the forces of villainy across the globe. In his mind the image of a heroic knight standing in front of an army of thousands of demons looking to march on an undefended village. The Knight's armor shone brightly in the sun, as dark clouds followed the demonic horde, and his long blue cape fluttered in the wind gracefully as he drew his sword. The sword was huge, but he also bore a shield branded with some symbol that Steiner had remembered seeing before: The Halford Family Crest. He grunted, visible energy coming from his body, and forming solid mass around him, encasing him like a suit of armor that he envisioned inside of his own mind. On the outside it appeared as though white orbs were coming from his body, latching on to his flesh much like a leech would to a supply of blood, but on the inside Steiner didn't feel weaker like a person losing stamina from being drained of his blood. Inside, Steiner felt stronger, and he felt more confident. Inside it was like a switch had been flipped from off to on and that switch was now sending power coursing through Steiner at an absurd rate. It was like his soul was finally waking up from a long slumber and was shaking off all the cob webs. It was a warm feeling, like every muscle in his body was becoming energized with some unknown power that the young man could not fully comprehend. Yet, instead of fear of this new feeling, Steiner found himself diving into it, and hungering for it. "I can feel it...almost there! ", Steiner growled as he grit his teeth trying to form his Tulpa for the very first time. I have to become strong...I need to get stronger...if I don't start doing that now then what is the point of walking this path in the first place! Steiner thought internally as his body pulsed with more energy as the white orbs began to harden into some kind of armor that appeared metallic in origin, but was pure willpower and desire to be a hero personified in physical form. Its time for me to be impressive for once! Steiner shouted internally as the orbs finished their hardening process and a form was born from the white orbs of light that had latched on to Steiner greedily. From those orbs the form of a white knight, in every definition, with glowing blue eyes emerged where once the young man had stood, now in his place was a heroic image that would protect the helpless. Steiner remained quiet for a bit, looking himself over to see if he had really accomplished his goals, as soon as he realized he had done something, and had reached a new strange stage of his development Steiner let out a victory howl. He had summoned it and stood before his master clad in the armor that she had taught him to don. "This...feels awesome! ", he exclaimed as he grinned underneath the helmet which hid his face. Mirja gave him a coy grin as he asked about what else she could teach him. She must have said it wrong, since she meant that he had learned everything about her Tulpa, not everything about everything. Ambitious and greedy, however, to ask for everything while still learning the first bit. "Don't put to much on your plate, you've still got this to deal with. And a lot of my techniques can be dangerous for someone who isn't like me, or similar. You have have noticed the lack of gut-wrenching Reiatsu, because it's all on the inside. Which makes me Woman of Mooscles. Stronger, more durable, and I can put it through a lot more wear and tear than you can without damaging it. It'll be hard work to establish your limits and see what you can use without dying painfully. But, if you are prepared to put in the blood sweat and tears, as well as broken bones, torn muscles, burst blood vessels, myocardial infarctions, stress-induced hallucinations and ruptured organs. Then I will put forward all my tricks for you to learn as you wish. And to aid you in your dreams"
She then returned to pacing while waiting, and eventually, he even managed to pull it off, getting into a nice suit of armour. Mirja would have to teach him the golden rule about armour, but it was good. She was glad he picked it up. "Brilliance. Now, there is one thing you have to learn about this new form of yours" she told him, walking up to him and placing one hand on his shoulder, before suddenly driving a supersonic fist into his gut. It wasn't restrained, because that was the lesson she was trying to teach him, and something would certainly get broken, the armour if not his ribs. While keeping an eye on his vitals so they didn't dip to dangerous levels, she lectured. "Armour like this can engender feelings of invincibility. These are fallacious feelings and will get you killed on the battlefield. Just your target, see if they have any tricks, or just pure raw strength, that could deal with you. 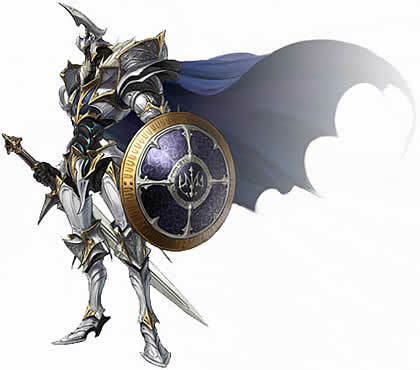 And if they have, avoid them, don't take hits unless you have no choice"
It felt weird to be decked out in armor such as this, but the weirder thing was Steiner didn't feel any heavier than he normally would, and in fact he just felt about the normal. It was probably due to the armor being an extension of his will and not really a real suit of armor crafted from heavy metals for protection. Still, he felt quite formidable in the suit of armor that he was wearing, but he had read enough books on medieval warfare to understand that armor wasn't the end all be all of defense. He would still have to work on his speed and his martial techniques to full utilize this armor to its' fullest potential. To be honest, that thought alone excited the young hero probably more than it should, and the thought of new training drills to enhance the powers of his Tulpa and perhaps in the future transition this into a full Tulpa. Yet, he knew he was getting ahead of himself, and as Mirja began to talk she seemed to come to that conclusion as well. She believed that he was putting too much on his plate and while true, he had just received his first taste of actually being relevant in over a year and a half, and he never truly wanted that feeling to end. "I understand...it still doesn't mean I can't get excited to get stronger, right? But you are the master and I am the disciple, it is up to you to gauge when I'm ready for something or not. ", Steiner admitted, his voice sounding different as it seemed the Tulpa he was wearing deepened his voice. He continued to look upon himself, trying to judge the potential of the armor he was now wearing, and trying to figure out just how much stress he could put this thing through without over doing it. He was also trying his best to grasp just what sort of things Mirja had gone through to make her as strong as she was. She brought up all of these unique genetic qualities that she had that allowed her to be as strong as she was without risking herself too much, and that she wanted to see just how far Steiner could be pushed as well. Well, it wasn't like Steiner was natural either, but he doubted their physiology was similar enough for him to undergo the same level of training as herself. Still, he didn't quite mind having someone who could put him through his paces, and see just how far he could improve without putting him through something that may or may not cost him his life. He still couldn't help, but wonder if it was by force or by choice that Mirja had undergone what she had because though she seemed to be strong, he doubted anyone would willingly subjugate themselves to intense physical trauma on a genetic level to increase their power to that extent. "I still want to learn more than this. I mean this is great, but you said you had more to offer, and I feel like the more I learn from you the better prepared I will be to protect people. ", Steiner phrased in his new deep voice as he finally looked up at Mirja. In an instant he felt a gut wrenching punch and the sound of a loud boom as the mere force of the punch broke the sound barrier. Blood splattered from his mouth, dripping through his helmet, and covering the front of his helmet and the front of his chest plate. Inside, Steiner felt a few of his ribs break, and he let out an audible groan as he doubled over clutching his stomach and falling to a knee. Visibly on the armor there were a few chunks visibly missing from around the center of where his lower ribs had been located. Steiner knew that if he hadn't been wearing the armor, more than likely he would have been impaled on her fist. And to him that was not a pretty image to be thinking about at the time. He listened to what the Wolf had the say, all the while he held his hands to his ribs, and let out taxed breaths as his body tried to adjust to the unwanted pain. After listening to her explain why she had done what she had, Steiner spit out a bit of blood from his mouth on to the grass, and tried his best to stand. "Why didn't you just explain yourself without the demonstration...geh...I know better than to think myself invincible because I have a set of fancy armor. ", Steiner groaned after finally getting to his feet to stare into the eyes of his master. "I've always relied more on my speed then brute force, so dodging attacks, or parrying with a sword has always been my style more so than absorbing hits like I'm a sponge...geh! ", Steiner let out a rather long wince of pain as he tried to step forward. Mirja scoffed off his question of 'why didn't you just say that?' and waved a hand dismissively, clearly not interested in that line of thought at all. "Ohh, if I had used words then it wouldn't have made an impact. You'd have forgotten it in a week, and I wanted to make sure it was ingrained into your mind. And this way, it is. People always remember pain most deeply, and that, dear Steiner, is a universal truth. It's good to hear that you wouldn't do it to begin with, but a Wolf had to be sure before sending you off to the fields" she then watched him get up. While she hadn't hit him with all her strength, it was still something she admired. "Now, that you are damaged, I guess it is the perfect time to teach you the second technique in the line of Tulpaism. The concept goes like this" she said, before giving him an intimate run-down of the core components that made up the Tulpa. It took a good hour for her to get the right words down and to be able to really impress on him what it was he could do. She wanted to be 200% sure that he was going to do it, because how you unlocked it, wasn't exactly the best of things. And then finally, she was done, and had handed a green pill to him. "Eat this, and then you will enter a realm were you either learn it, or you don't" she told Steiner. Neglecting to mention the fact that the pill was enough poison to kill a dozen men. If he failed, Mirja could be able to save him, but with or without Mirja, this situation was about to rate one of the worst he had ever had. Which, was a good way to open, really. Mirja didn't teach with silk gloves, after all. "And then we can talk about stuff later. You like to swing swords, huh? You are in luck. One of the best swordsmen in the entire world rules this place. I was always more of a Fists kind of girl, you know? But I am sure I can convince him to set aside some time" She then took a step back, and waited, hands in her rune pouch and ready to save him if his heart stopped. When she waved her hand dismissively as Steiner's question he let out a chuckle and instantly winced while clutching at his ribs in a bit of pain. He would send his Tulpa away, it slowly faded from him like a 3-D image fading away to reveal the young man underneath, and he didn't look too good as a bit of blood was leaking from the corner of his mouth. It was quite possible that the high speed blow had caused some internal damage, but Steiner wasn't going to allow his new master to see him in such a state, so he wiped the blood off his hand, and put on his most confident face that he could. "Yeah, I'm not just going to stand still, and let someone wail on me when I could just dodge the attacks, and wait for him to tire himself out so I can counter attack. ", Steiner replied to Mirja as he moved his arm from around his mid-section, and forced it to his side. He did this as a show of determination to prove he would do whatever it took to get stronger and to make sure that Mirja knew that he was fully committed no matter what. She then began to talk about the next phase of Tulpaism and much like before, Steiner listened to her every word, and tried his best to commit all of it to memory for later use. He wanted to learn as much about this power as he could and it seemed as though Mirja was running him through all of the core concepts of this next phase in heavy detail and since she was doing as such he knew it was important. Unlike her other lessons, this one was a detailed analysis of what he had to do, and how he had to go about doing it so as such that made this lesson more important than the other's at least that is what he believed to be honest. After what seemed like over an hour of Mirja talking and Steiner listening silently, the only sound he would make was an occasional wheezing as he tried to keep his breath coming smoothly, Steiner learned what he needed to do for phase two. "I didn't know there was so much information about all of this, its kind of amazing....", Steiner said to her as he rubbed his chin in thought his arm back around his midsection, long ago giving up on the appearance of looking strong in front of her. That is when Mirja handed him the little green pill and for a second he looked at the wolf with a great deal of confusion as to what she wanted him to do with it. She then told him to ingest it and for a second, Steiner almost did right on the spot, but then Mirja started talking about a powerful swordsman who lived in the country, and about how she could try to get him an audience. Steiner wouldn't mind it, though his style was self-taught, and was a combination of multiple pieces of differing styles patched together, it never hurt to have a second opinion after all! "As long as I'm not an inconvenience I wouldn't mind learning something from him. Thanks Mirja...bottoms up! ", Steiner exclaimed the last part of his statement as he popped the little green pill into his mouth. At first he thought it was medicine, foul tasting medicine. He had after all experimented with different salves and different types of medication to heighten the healing process as he lacked the ability to heal himself without them. Most of them had tasted bad, but the realization that he had been poisoned started to hit him as he began to feel his heart rate begin to increase. "Wha...what did you...what did you do!? ", Steiner exclaimed as he fell to a knee groping at his stomach as he felt his stomach lurch. The initial effects of the poison felt like he had contracted some form of strep throat, stomach virus hybrid, but then that feeling escalated as his muscles began to spazz out. His blood felt like it was on fire and that blood circulated to his head which made him feel dizzy and caused his eyes to flutter. On the outside his muscles were seizing, his body was sweating, and his normal pale skin color had began to fade to gray. Steiner fell on his side, letting out a rather large groan as he did so. His eyes looked up at Mirja in confusion, why had she done this to him, and why was she just casually watching him like nothing was happening. The feeling did not fade as the intensity of it seemed to continue to ramp up as he rolled around on the ground for a bit letting out longer and longer groans as he struggled to think straight. That is when he began to see things. The arrancars who had tried to kill him and had taken his powers from him surrounded him, laughing, and jeering at the fallen hero as he swiped at them with his hand that wasn't clutching his mid-section. He let out a frustrated growl as the laughing and jeering grew louder and louder, filling his head with memories of what had happened to him a year and a half ago. These were not pleasant and he was quite angry that he couldn't defend himself from the sound of their voices while he dealt with all of the internal pain. For a while longer this continued until Steiner shouted out at them: "Stop! For a moment there was silence until a voice like a whisper began to speak to him, it was right beside him, and at ear level so that only he could hear if anyone else were to attempt to listen. "Focus...much like before you need to use your will. Remember Mirja's training, focus on the center of this pain, and use that will of yours to remove it. You can do it, Steiner...great things are awaiting you. ", the voice said as Steiner looked up to see a familiar face. At this point he knew he was hallucinating, but the familiar face of his Ziamichi spirit hovered inches from his face, a smile crept across his face as he patted Steiner on the side of the head. "Val..us...", Steiner groaned at his former Ziamichi spirit who looked down on him and though it was an illusion he reached out for his former comrade who faded away from his view. In that moment the pain spiked and his heart rate jumped up several octaves. Steiner felt like he was dying and rolled on to his back, letting out a howl of pain associated best with that of a dying animal. His blood burned him from the inside and he felt like he was about to explode into flames right then and there. Yet, Steiner took Valus' words to heart and focused on the center of his pain, and much like before willed it to go away. "I've got to live...I'm not finished yet! ", Steiner howled as he asked, no, he demanded the poison to leave his body, and in that moment Steiner began to sweat the most that he had ever done in his life. His body was detoxing itself, he could feel it, and his body was screaming in relief while his will demanded that the poison that Mirja had handed him left his body. It was like he was in absolute control over what physically happened to himself and though his mind was exhausted from all the visions, and the poison's effect Steiner felt himself getting better. His blood stopped burning and his muscles stopped seizing while his skin returned to its' normal pale shade. One by one the toxic maladies that Steiner had been feeling began to melt away from his body through his sweat until finally there was nothing left to detox. Steiner lay on the cool grass for a few seconds as the summer breeze drifted over the fields and his eyes drifted over to Mirja who stood watching him regardless of how he felt. "We need to work on your teaching method...", Steiner said with a humorous grin on his face as he coughed rather loudly as he reached out to Mirja. "Some water you would be nice. ", he said as he continued to reach out. What Steiner hadn't realized was that the pain in his midsection had faded away as well, his bones inside were no longer cracked if one could see it, and instead were as good as new. It was as if somehow magically the damage had never happened in the first place. 'Sure, this is a great idea. Poison him and watch him slowly die in the hopes that he might possibly come to the same conclusion you did and stop himself from dying' Hvit exclaimed, clearly not to happy with Mirja's choice of teaching tactics. And with Steiner on the floor unconscious, there was little need to think, so she spoke openly. "He is in no danger of actually dying. The only danger he is in, is learning his limits, now let me listen or he really will be in danger because my darling distracted me while he was laying dead" she replied, focusing her sharp hearing on his internals. To expedite his possible need for salvation, Mirja got her runes ready and held them in her hand, pushing every point of her body to react when his heart stopped. And there was more than just the lack of beating that would tell her that. With such intense, single-minded focus she would be able to tell from the sudden lack of rushing blood in his veins. However, amazingly, she heard what she was meant to hear, and then suddenly he spoke again. Decrying her method of teaching, and asking for water. Replacing the Health runes and retrieving a Water rune, she clapped it over the top of a bottle and it filled with pure spring water, some of the best that could be found. And that, was handed to Steiner. "You are alive. Well, backstory time. This Territorial Tulpa, was taught to me directly from Ashigoi Kazuri. The man who made the foundation of the Tulpa you and I know today. He was a brilliant man, and not prone to sharing all his secrets, hence the need for the Earth Defying Array that you can feel powering your body. I met him, and we started talking about our cousin techniques. Eventually, he gave me the same lesson I gave you, the basics and the core principles of his magnum opus. He told me that he was making dinner one day, and a few mushrooms that shouldn't have been there slipped in, and as a result he was tripping balls for the whole night and some of the day. And in his hallucinations, he found enlightenment. And when he returned to sanity, he created and perfected the Territorial Tulpa. A week later I was strolling through Karakura Forest, and my mind was not exactly what you could call...sane. I saw some mushrooms and thought 'ooh, yay, enlightenment' and so I bent down and snacked on them, grabbing a whole handful and stuffing them into my mouth. Only, to find that they were incredibly poisonous and I was dying. Slowly, agonizingly. And then I appeared and told myself that, among other things, I was an idiot, and that I needed to fix myself before I died. And that sparked something that allowed me to do just that. And so I fixed myself, and in doing so my body became malleable to me. Like clay. The burning, near-death experience that comes from that situation is how I learned, and so it is how I teach. My style is the style of sacrifice. You have to sacrifice your memories, and then finally your life. And these are replaced with yourself" She told him, pacing a little as she spoke. "You'll find that any thought you hold onto sufficiently becomes reality for your body. But this should be very careful. What I have taught you is a double-edged blade with no handle. I once nearly killed myself because in despair, I believed myself so weak and helpless that when I was struck, my neck nearly snapped. Doubt, and Despair, and Depreciation are now lethal to you, Steiner. You can not lose hope in yourself for a moment, or you will become what you believe yourself to be. Also, you are still organic. So, learn anatomy. Become well versed in the limits of your body before you start messing about with it, or you'll do yourself such damage you may not be able to right it before you die" She warned him, before exhaling and moving onto her Wudang-an-han. This was, despite the name implying otherwise, Mirja's stoic Meditation. "If you wish to learn more, follow how I move, and control your breath so it is in synchronization with me. And believe that this will make you stronger. For you, now, belief is more important than anything else. Belief is literally a matter of life and death, now"
Steiner for a moment looked around him, searching for the familiar face of his former Ziamichi spirit, but upon not finding him he realized rather quickly that it had been a hallucination, something caused by the poison no doubt. He found himself disappointed by that as he remembered how it felt to have someone close to him that actually cared for his well being and he could hold a conversation with on a daily basis to hone his craft. Now a days he was by himself, alone in this big scary world, and without ready access to someone who would actually want to be around him, let alone hold a conversation for more than a few fleeting moments with him, but that was fine. That was part of growing up and part of learning that life was never going to be easy regardless of how much you wanted it to be. Still, it wouldn't be so bad to have someone to hold a conversation with once in a while. He tilted his head to the side, observing as Mirja put some kind of rune above an empty bottle, and then filled it with what appeared to be water. It was fascinating and the young man had never seen anything quite like it before. He found himself taking the bottle and looking at its' contents for a bit, mostly out of curiosity, but also out of a present fear that Mirja was trying to teach him another lesson that would revolve around him feeling some higher plane of pain. After deducing the water was safe, Steiner took a long swig, and was surprised to find the water tasted fresh and quite pure for coming from some magical rune thing that had been pulled from a pouch. "What exactly is that? I've never seen anything like it before. ", Steiner asked as he stared at the rune in Mirja's hand. He was extremely curious how that thing worked or if she had any information on how the things were made it might sate his fascination on the subject. However, the answer to that question would have to wait, as Mirja decided to open up for the first time truly with him. He had learned a lot from Mirja, but hearing the backstory of how the Territorial Tulpa was created was an interesting one. Some might call it a stroke of luck, but then again that sort of thing did happen in modern science and its applications. Sometimes that is how the biggest marvels of current generation medicine and science were born and Steiner found the tale rather interesting, especially when it came to the part about how Mirja had obtained her version of the technique. It brought a small smile to his face that she had gone through the same thing he had, though hers was by accident, and his was more of a forced reaction to a poison laced pill. He, however was not going to chide Mirja for what she did, and understood that sometimes you had to learn things through trials and tribulation, it wasn't as simple as hearing something and then mastering it. No, it was also about living the situation, and learning from the experience regardless of if it was forced or manufactured, sometimes it was just plain better to learn through experience. "So whatever happened to that guy? ", Steiner asked as he finally got up to follow Mirja's instructions to a "t". His eyes fixated on her, matching her breath, and his movements mimicing her as if he were her shadow. A more masculine shadow, but a shadow none the less. It might strike Mirja as confusing at how much his eyes were picking up, just how thoroughly he was able to mimic her in this manner, but Steiner had always been a quick study, and as his thoughts turned to getting stronger through these tests and these trials, it was clear that he was getting close to a breakthrough, he could feel it. Wudang-an-Han was basic but all things started somewhere. She liked his drive, his tenacity, and his courage. He was not quite to judge or swift to anger, and always ready to learn, even after he was nearly killed. That was just the person Mirja wanted to pass on everything too, and so that was her intention. And he was curious as well, Mirja loved curiosity. Mainly because she loved explaining things to people. "Ahh, that was a Nordic Rune. They are small pieces of Sarsen Stone etched with a single word and infused with power. The runes I have are, Fire, Water, Vine, Sonic, Health, Smoke, Sloth, Strength, Vigor, Earth, Wind, Shade and Sight. Some are self-explanatory, others are pretty abstract. It's not something I can teach you. Something about Runecasting means you can only learn it from the Sage, and if another tries to teach you, they can't find the right words to explain it" she told him, smiling softly. She had good memories of how she had learned how to Runecast. "The Health Rune is why I was not worried about the dangerous nature of the test. I could heal you if anything went wrong"
Steiner was a quick study. He would probably be feeling the new power gained by this pretty quickly. It would be amazing,to feel her Earth-Defying Array and the Reiki from this when once he had nothing. And that was why Mirja did it. For the smiles, and the emphatic reactions that came from him. "As for that guy. Nothing happened to him. I got the feeling that he preferred solitude so I left and didn't really go looking for him again. He's still alive in the mountians of the Himalayas somewhere, eating mushrooms and being awesome"